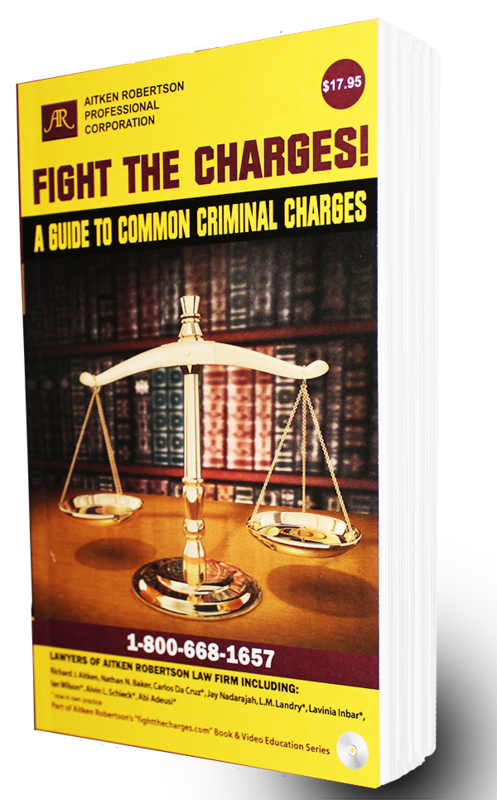 If you have been charged with a criminal offence in Ontario, please fill out the form below to request your free copy of our newest book, Fight the Charges! A Guide to Common Criminal Charges. Once you fill out the form, we will call you back as soon as possible (usually within 24 business hours Mon-Fri) to discuss your charge. If you want to speak with someone immediately to discuss your charge, please call 1-800-668-1657. This book is also offered as an educational and informative piece. Please provide a valid, Canadian address including postal code, apartment number and/or unit number (if required). Please note: We only offer consultations to Ontario residents.